What a difference a year makes: going into February last year, Houston was 16-5 (6-4 AAC) and hoping for a spot in the NCAA tournament. 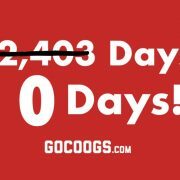 But in the last 365 days, the Coogs have gone 28-2 (15-2 AAC) in regular-season games. No one in the country has a better record in that span. Heading into February 2018, it had been 14,360 days since the last time UH won a tournament game. Flash forward a year and most Cougar fans would be crushed by not winning two games and getting to the Sweet 16. Everything in this program has been elevated from a year ago. It’s not the same arena and it’s not the same expectations. 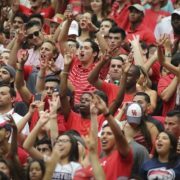 Opening the Fertitta Center is a big deal but almost as important is that expectations have returned. We expect to be in the tournament for the foreseeable future and we expect to win games when we get there. This team continues to improve each week and should be in an ideal position come tournament time. Kelvin Sampson has built a program that can win on the road and in neutral-site games. The reason? 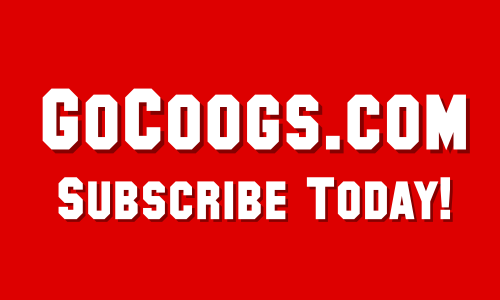 The Coogs are #2 in the country in both field goal defense (36.4%) and three-point FG defense (26.1%). When you factor in turnovers, opponents make a shot less than 30% of the time that they have the ball. That sort of defense will keep this team in games even against more-talented teams. Which explains why UH is #1 in the country in the most important stat: winning percentage. 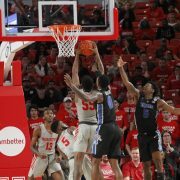 Besides the obvious (that teams don’t make shots or get many rebounds), the Cougar mentality psychologically wounds opponents. By the end of the game, they’re mentally and emotionally beaten – to say nothing of the scoreboard. After tonight’s game vs. Temple, the Coogs have just 9 regular season games left. UH will play only 6 times in February – the team gets a seven-day breather from competition after tonight’s game. 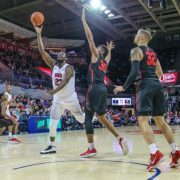 The next four games could be the difference in a two-seed and a five-seed in the tournament: Temple, @UCF, Cincinnati, and @UConn. If UConn can move up just slightly in the NET (currently 78), then 3 of those 4 games will be quadrant one.